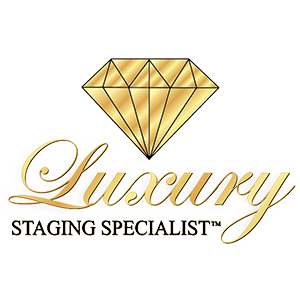 When it comes to staging your home for sale, using only the best in the business is the only way to go. And within the realm of home staging, Hope Designs is it. It’s for this reason that CTV’s Austin Delaney called upon Lori Howard, owner and operator of Hope Designs, to answer a few questions about what the whole home staging process is about, and why home sellers should even consider it. Why is home staging so popular? What’s the point if it? Won’t a home sell itself eventually? These are just some of the questions that Austin Delaney asked Ms. Howard on site at an actual home staged by Hope Designs. According to the Hope Designs founder, staging involves a lot more than just decluttering and moving furniture around in hopes that buyers will accidentally stumble upon the place and take note. Staging involves a lot more than that. Home staging plays a role both in a slow market and a bustling one. When it comes to a slow real estate market where it seems like pulling teeth just to get an offer, staging can create a lot of buzz around a home and really get it noticed. What home sellers essentially want is to generate as much interest and traffic in a home as possible. “The more traffic coming in to a home, the higher the odds of an offer being put on the table. In many situations, homes that were once stale on the market end up in multiple offer situations simply because it was professionally staged,” says Lori. The same is true during a busy real estate market. With homes popping up for sale every minute, the competition can get really fierce. In these circumstances, it’s essential to get the home to stand out above the crowd. “If seven of the homes on your street are for sale at the same time yours hits the market, and they’re not staged, your professionally-staged home will no doubt stand out and sell first before the others,” according to Howard. More buzz translates into more traffic, which equals more desire for a certain property. Staged homes also show really well in photos, which are really the first thing that people see when browsing the internet or the MLS. Photos that show well online will boost the odds of home buyers gaining interest in a property and asking to make an appointment to see it in person. If the home doesn’t show well in pictures, the odds of buyers wanting to take the next step are pretty slim. Even a home in an undesirable location can sell quickly if it’s staged right. “We’ve had homes in areas that aren’t exactly sought after wind up in multiple offer scenarios, even when there’s a decent amount of homes available for sale on the market,” says Howard. While location is an important factor when placing a value on the home, staging can do wonders to overcome bad locations. There’s no doubt about the importance of home staging, and judging by the answers given by Lori Howard from Hope Designs during her interview with Austin Delaney of CTV, this fact is pretty clear.